Three little cabins face out toward the water, where a tiny sailboat bobs in the waves. From Canadian artist Clayton Dickson, who grew up working with clay at his family's kitchen table. 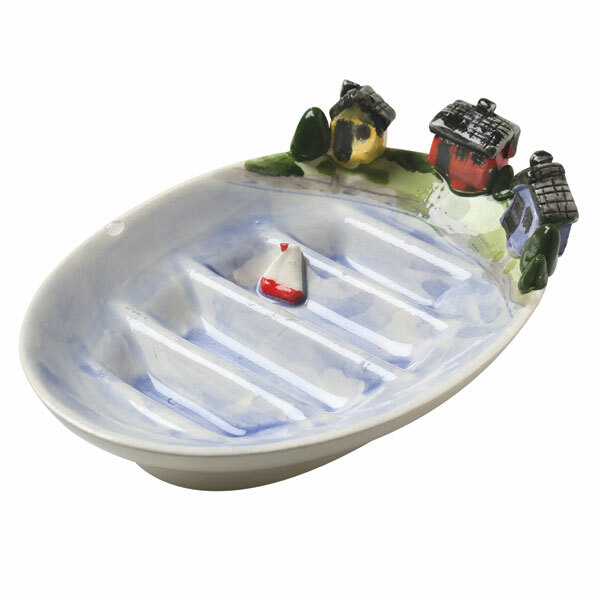 Individually hand-sculpted, hand-glazed white earthenware, made in Halifax, Nova Scotia. About 5½" long, 4" wide. Hand wash.